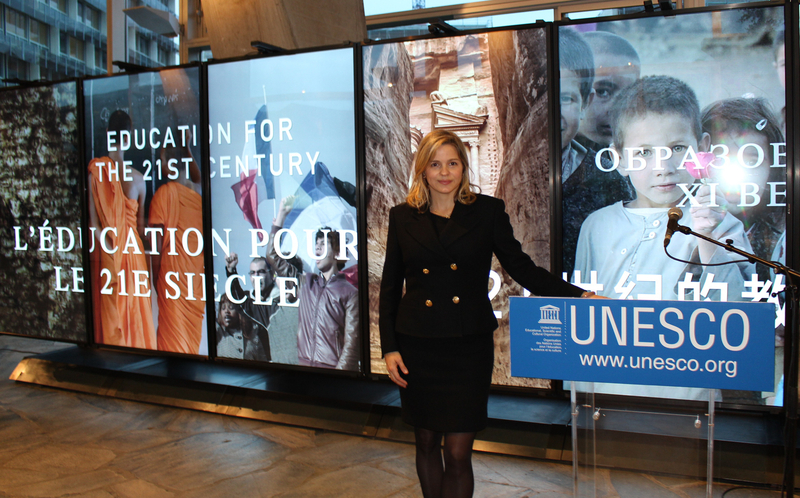 Anna Cummins, Co-Founder and Global Strategy Director of The 5 Gyres Institute, has made a name for herself in the world of environmental research and education. With over 20 years of experience in the non-profit sector, Cummins has taken on an extensive list of initiatives expanding awareness and education about environmental issues – primarily, pollution of our ocean, lakes, and shorelines. With a lengthy list of accomplishments, Cummins is recognized as a leader in community education and outreach, with a focus on sustainability and pollution prevention of the world’s water sources. 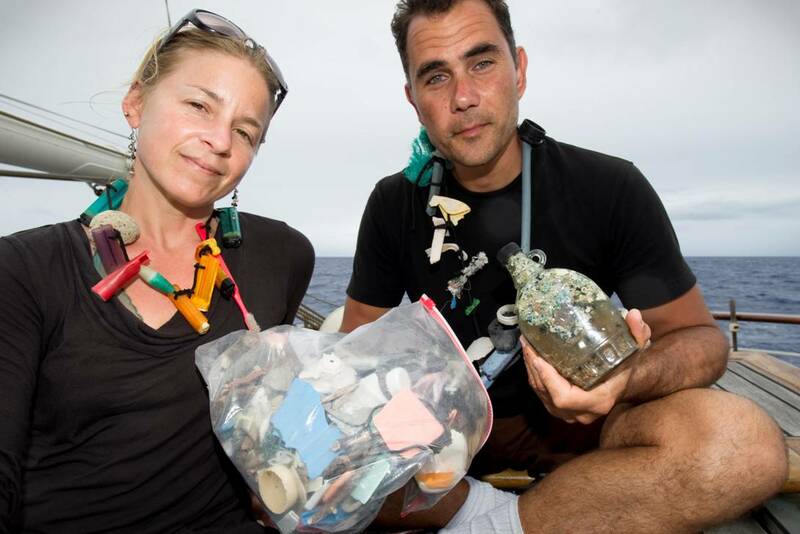 The 5 Gyres Institute, a non-profit Cummins founded with her husband Dr. Marcus Eriksen, started with a purpose of creating a worldwide spotlight on the issue of plastic pollution in our oceans. The mission of The 5 Gyres Institute is aimed at “empowering action against the global health crisis of plastic pollution through science, art, education, and adventure.” With an ample list of programs, including bilingual and Spanish-speaking curriculums, summits, expeditions, and art exhibits, the Institute has made it possible for students, scientists, and organizations alike to participate in research and create tangible solutions to the plastic plague. Cummins and Eriksen will take their art to the streets during the Village Green Festival at Creating Equilibrium. With a keen eye for art and design, Eriksen created the “Anthropocene” sculpture to give viewers an interactive and visual representation of the microplastic pollution clogging our oceans. Additionally, festival-goers will be able to stroll by The Junkraft, a sailing vessel comprised of 15,000 plastic bottles, constructed by Eriksen, Cummins, and sailor-scientist Joel Paschal to sail from California to Hawaii across the Pacific gyre. Head to https://www.5gyres.org/ to donate, participate, or learn more! If it’s the art you’re interested in, pay a visit to https://www.marcuseriksen.com/ to get a glimpse of Eriksen’s work. Our next leading lady, Mia Hanak, was most recently appointed Executive Director at Tahoe Public Art. She spearheaded art installations around the Lake Tahoe basin including the Kings Beach round-about art installations, Future’s Past, and Laka’lelup to be featured during the Creating Equilibrium festival. Hanak has an eye for art, design, and culture as well as a deep passion for the environment, all of which she has harnessed to create innovative and impactful experiential art installations around the world. Hanak has an impressive resume. She has most notably stood as the Executive Director at the National World Museum of Environmental Art, Millennium ART, Mosaic of Change, and now Tahoe Public Art. She also worked with Obscura Digital and the Oceanic Preservation Society to create “Projecting Change”, a vehicle with eco-projection images about extinct species, featured in the Discovery Channel’s Racing Extinction film. As the founding executive of the Nature World Museum of Environmental Art in San Francisco, Hanak collaborated with the city to start the Art for the Environment initiative. Hanak initiated outreach and programming for youth in San Francisco with the goal of communicating daunting environmental topics by using an inspirational approach rather than a fear-based approach. The Laka’lelup installation, Hanak & Tahoe Public Art’s most recent endeavor, will sit in Lake Tahoe for the month of August, bringing locals together through an immersive multimedia experience that aims to connect the global issue of climate change to local issues around the Lake Tahoe region. Additionally, a satellite art installation and social media activation station will sit on land, allowing viewers to interact with the simulation’s data and environmental stories. Between the two installations, the goal is to create awareness and stimulate dialogue around biodiversity and the impact of climate change around the Lake Tahoe region. Ultimately, this public art experience is meant to create a connection between viewers and their relationship with the environment to activate change. Learn more about Mia’s vision and the Laka’lelup installation at http://www.tahoepublicart.com/lakalelup.html . Still have questions? More information on the Creating Equilibrium Village Green Festival can be found at here.